Walks near Opotiki and the Waioeka Gorge. When exploring the Bay of Plenty or finishing an epic road trip on the Pacific Coast Highway, don’t miss the town of Opotiki! For hikers and mountain bikers, there are plenty of trails to explore. Whether you prefer quiet coastal trails or mountainous missions through the forest, there are Opotiki walks for every type of backpacker. Near the township of Opotiki, there’s the awesome Hukutaia Domain full of rare native forest to casually walk around without committing to a multi-day mission. Along the coast, you have the likes of the Dunes Trail with sweeping beach scenery. Travel down the Waioeka Gorge, and there’s a selection of backcountry experiences from the easy-going Tauranga Bridge Track to the mighty Moanui, Tawa and Koranga tracks. So check out the list of Opotiki walks below to fin the best trails to stretch your legs an see the Opotiki landscape. Let’s start close to Opotiki with the Opotiki Stop Bank Walkway. Check out the river and estuary views with wetland birdlife while strolling between the Waioeka and Otara River stop banks. The walk is accessible on foot from the town centre. Location: Opotiki township. Access from the town side of the bridges is via State Highway 2 and State Highway 35. A network of trails which vary in length allows you to explore the five-hectare domain packed with native trees. Walk through forest settings, parks and rock gardens on easy flat trails. Location: Woodlands Road, Opotiki. 10km from Opotiki. Check out what most of the Opotiki area would have looked like before human settlement with the Marawaiwai Scenic Reserve. The track follows a meandering bush stream in a semi-coastal forest and a great place for bird watching. Location: Off State Highway 2 on Harrison Road via Warrington Road. 7km from Opotiki. One of the most popular trails in Opotiki is a walkway/cycle trail. This easy-grade track gentle roles over the sand dunes with beautiful views of the beach. There are also cultural features to be seen along the way. Find out more about the Dunes Trail, which is part of the Motu Trails at The 3 Eastland Motu Trails. Location: Start at Pakowhai ki Otutaopuku Bridge, Memorial Park Reserve. Te Waiti Valley has two walking tracks to tackle. Explore Te Waiti Valley on the Te Waiti Valley Track (2 hours one way) which gives you awesome views of the Te Waiti Stream and lowland forest along the way. The walk leads to a hut where you can return or stay overnight. Alternatively, the Te Waiti Nature Trail (30 minutes loop) takes you around a nikau palm forest with some great views down the valley. There is also a free campsite here at the Boulders Campsite. 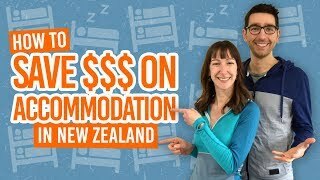 Learn more about camping in New Zealand. Location: To access Te Waiti Valley, take Otara Road. Both tracks are found along Te Waiti Stream Road. 16km from Opotiki. Start just before the Ohiwa Holiday Park on Ohiwa Road and follow the Ohiwa Tarck through wetland, pohutukawa forest and farmland. The track then takes you to climb Onekawa Pa – the site of an old fortified Maori village. From here, you can cut the walk short by going back toward the holiday park and follow the road back along the harbour to the start point. Alternatively, continue down to Bryan’s Beach and return west along Ohiwa Beach to the holiday park an back to the start. Location: Ohiwa Harbour Road just before the Ohiwa Holiday Park. 18km from Opotiki. On the subject of Ohiwa, take the Ohiwa Harbourside Trail beside an estuary. This walk is best taken at sunset which looks stunning over the harbour and estuary. The walk is an easy one at only 6km between Ohiwa Camp and Ohiwa Boat Ramp. Location: Ohiwa Harbour Road between Ohiwa Camp and Ohiwa Boat Ramp. 15km from Opotiki. Another beautiful walk on the Ohiwa Harbour, the Nukuhou Saltmarch and Riverwalk follows partly boardwalk through a fascinating ecosystem. Check out the whitebait spawning area on the Nukuhou River. Follow an old stage coach road through native forest to some sensational coastal views along the Bay of Plenty coastline. There are ancient pa sites here and landing sites of the first settlers in the area. This walk is along the Pacific Coast Highway. For more walks along State Highway 35, check out 9 Pacific Coast Highway Walks You Can’t Miss! Location: Opape Beach off State Highway 35. To find the walk, walk east along the beach and cross a stream where the entrance is signposted on the bank opposite. Check out the famous and historic Tauranga Bridge crossing the Waioeka River, which is near the beginning of the walk. Once you have crossed the bridge, there is a loop walk which can be done in either direction. The track takes you through a mix of bush and farmland. There are a couple of stream crossings, so the walk is best done when there hasn’t been any recent heavy rain. Location: On State Highway 2 in Waioeka Gorge. 25km from Opotiki. Another part of the Motu Trail cycleway, this is the more challenging of the Motu Trails, although still an easy-going gradient for walkers. Walk through dense native forest with awesome views of the Pakihi Valley and surrounding hills. Mid-way along the track is the Pakihi Hut for an overnight stay if needed. Location: The track can be accessed from either Pakihi Road, 22km east of Opotiki, for the uphill walk, or from Motu Road, 45km via Toatoa from Opotiki, for the downhill walk. Shuttle services operate in Opotiki to transport you from either end of the trail. For a true wilderness experience, take the Otipi Track through stunning rainforest scenery. It starts with a steady 4km climb to the summit where the track continues to the Motu River (continuing here would take you more than a day trip). Return downhill where you need to be careful of the track rutted in places. Location: Follow Old Motu Road off State Highway 35 to Toatoa then onto Takaputahi Road to the Whitikau Campsite. The track is across the river upstream. For a backcountry hike in the Waioeka Gorge, take the Nikau and Kotepato Tracks. Walk from Redpath Road across private farm land and native bush following streams to the Kotepato Hut (2-3 hours one way). Alternatively, walk from Redpath Road to the Nikau Hut following the Waioeka River. Be aware that there are some river and stream crossings in these walks so avoid these tracks after heavy rainfall. Location: 42km down the Waioeka Gorge from Opotiki, turn into Wairata Road and then onto Redpath Road where you will need to walk from the designated parking area across a farm track (takes 1-2 hours) until you reach the signage for both Nikau and Kotepato Tracks. Another Waioeka Gorge beauty, the Manganuku Tracks start from the historic Manganuku Howe Truss Bridge. The Little Manganuku Track climbs to a saddle giving you awesome views over the surrounding forest before heading down to the Little Manganuku Stream. The Manganuku Track runs along the Manganuku Stream to a swimming hole. Continue upstream for another two hours and you will arrive at the Manganuku Hut (although this section is a little tougher an requires some backcountry experience). Location: 47km down the Waioeka Gorge from Opotiki, located near the Manganuku Camping Area. Finally, the biggest mission hike near Opotiki is the Moanui, Tawa and Koranga Tracks down the Waioeka Gorge. Starting from the Moanui Valley Road, take the track skirting the Koranga River and cross the swingbridge to the Koranga Forks Hut (2 hours for this first section). From the Koranga Forks Hut, the track leads along the Kahunui Stream bed. This should not be attempted in bad weather. The route leads to the Tawa Hut and takes 2-3 hours for this section of the walk). Finally, from the Tawa Hut, continue up the Kahunui Stream for 10 minutes and continue up the Kahunui and into the Kahuiti Stream. You’ll then find a well-formed track leading to farm land then you have a steep descent down to the Koranga River and Moanui swingbridge. Then it’s 30m back to the Moanui Valley Road. (This section takes 4-5 hours). 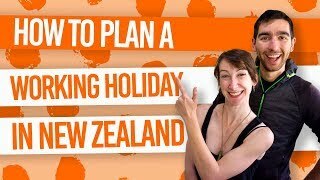 Be prepared for this multi-day hike by checking out 9 Tips to Prepare for a Multi-Day Hike in New Zealand and How to Prepare for a Great Walk in New Zealand. Location: 87km down the Waioeka Gorge from Opotiki. Travel 45 minutes down the Moanui Valley Road (gravel road).